Here’s another great selection of toys for toddlers. Hailing from brilliant Spanish toy company Miniland, they’re all designed to inspire creativity and fun. Which is just what you want in a toddler toy. This shape sorter has some surprising hidden talents. The Miniland Jnr Elefantino is a rather animated fellow that expels the shapes from his trunk when his ears are pressed. 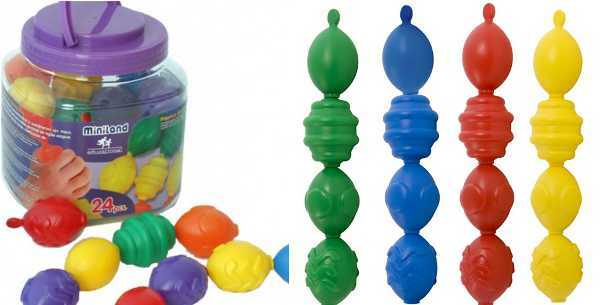 The five shapes can also be stacked to make a tower. 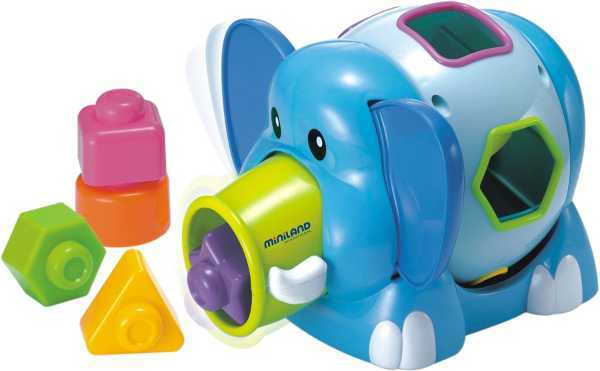 The Elefantino is $54.99, from Green Ant, plus $9.95 delivery. Toddlers love a sense of achievement, and that’s exactly what the Miniland Maxichain delivers. The set of interlocking pieces have assorted colours and textures and can be used in several ways, including learning colours and numbers. The Maxichain comes with twenty-four pieces, and costs $19.99, with free shipping from Kidstuff. The Miniland Jnr Quattro has a very high cute factor, which will appeal greatly to children aged one and older. 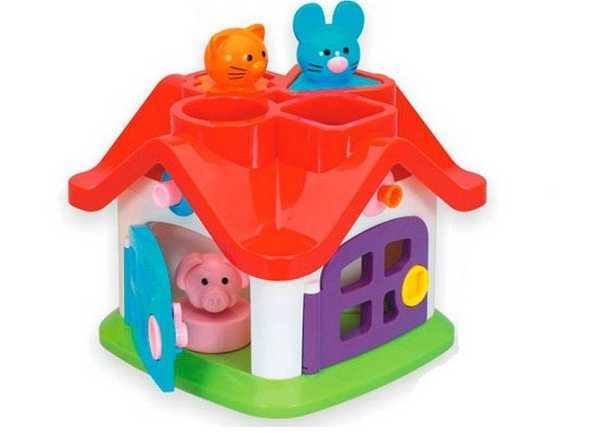 The slotting toy will help children begin to recognise shapes, and there’s also a set of keys to get the animals out of the house. The Jnr Quattro costs $64.99 from Green Ant, plus delivery. And while we’re on the subject of stacking, here’s a great little set of stacking cups. The Miniland Minicups can easily be stacked up or stacked together. Or let your toddler commandeer them as tub toys at bath time. The Minicups cost $11.95, from Lundby, plus delivery.